Disturbances in working memory and in the speed with which information is processed are the two most frequently reported cognitive deficits seen in multiple sclerosis and they occur early in the course of the disease. Processing speed and working memory are intimately related, although it is not clear at which point processing speed slows in MS and how much processing speed has to slow before working memory is affected. Using a paradigm that has allowed us to obtain both electrophysiological and behavioral data simultaneously, our laboratory recently has been developing methods to measure processing speed and working memory separately in relapsing-remitting MS patients. In this study, we are examining whether an electrophysiological measure, not previously studied in MS, can provide an index of neural efficiency related to speed of information processing. 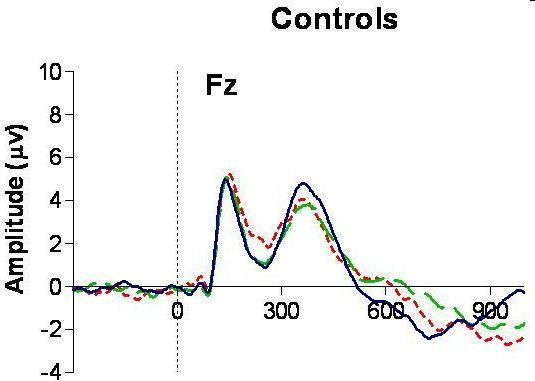 This measure is derived from the event-related brain potential (ERP), averaged electrical brain activity associated with stimulation such as a tone or flash of light, for example. It provides a functional index of the degree of variability of the single trials that make up the average ERP response. This measure has been developed and used in our laboratory for animal studies. In this present study we are adapting it for use with the human data we have collected from a previously funded MS project. 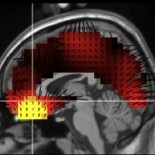 Results from the behavioral data derived from this earlier study of MS have been reported in the literature. We see that the trial-to- trial variability of ERP components will provide important information about the functional integrity of brain systems responsible for speeded processing of information. This measure of trial-to-trial variability, not used previously in MS, is of significance for a disease that has demyelination as its major pathology. The pathophysiology of demyelination and plasticity might be quantifiable with the proposed measure of single-trial -latency variability. We believe that increased single-trial latency variability may appear early in the course of the disease and serve as an index of the demyelinating process. Currently, no neural imaging measures are able to provide this temporal analysis of cognitive functioning. We are examining single-trial-latency variability in Relapsing Remitting MS patients and control participants and also determine how this measure predicts behavioral performance on tests of working memory and processing speed. This measure of neural efficiency could provide the earliest possible objective index of central processing in MS and be useful for investigations of the effects of medications on cognitive function in MS.